Management and Business Administration (MBA) programs have procured substantial popularity over the past years. 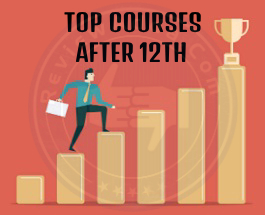 Now-a-days students are opting to do a management course after completion of graduation as they believe that it will be advantageous and will accelerate the graph of their career. But, that sumptuous career and luxurious life can come only if MBA is done from a good and right college. 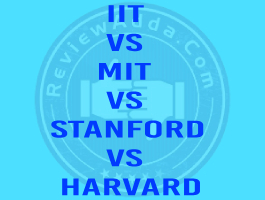 Now the question comes what is a right college? The college which is best as per your wish-list is the right for you and it will vary from student to student. There are almost 3000 Business Schools in India. A considerable number of them boast of providing quality management education and providing great job placements. Most of these declarations are true but there are such claims also which are not up to the mark or are extravagantly claimed. 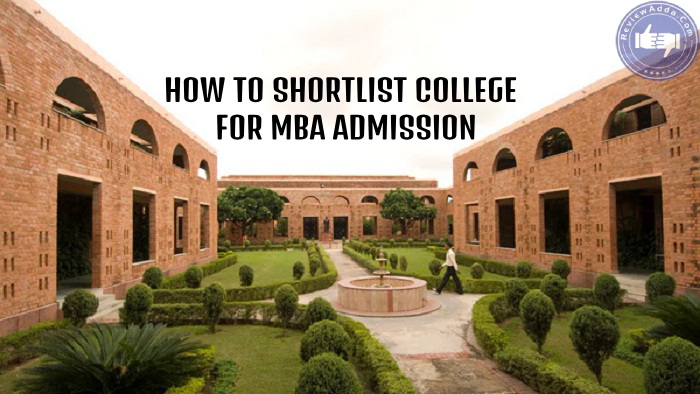 Aspirants often have to face this difficult task of analyzing the colleges and short-listing the most appropriate ones for MBA Admission. Education too has become commercialised these days and to curtail the competition, management colleges and B-schools are coming up with different specializations in MBA Programs and other unique facilities. Today options such as specialization in the field of Power, Petroleum, Infra, Real Estate, Fashion, Entertainment are available to the students. Every institution wants to make itself best in terms of infrastructure, faculties, extra-curricular activities and education. When a MBA aspirant is short-listing the college he/she tends to get confused with so many options and it becomes a cumbersome job. A student shall make a list of key parameters which shall be taken into consideration while short-listing college for admission into MBA Courses. Every college has its own criteria for Admission Process. Most of them seek admission through the competitive entrance exams like CAT, XAT, N-MAT, SNAP, C-MAT, MAT, ATMA, GMAT etc. And every college has its individual cut-off percentage for admission in MBA Program. Prepare a list of colleges in which you can get admission as per your ranking and score. Also, in some college’s you can directly get admission by following their admission procedure. Once you have short-listed college according to your marks and rank there will be a limited number of colleges left to choose from and so the selection procedure will become a bit easier. AICTE: AICTE is a national-level council for technical education under the Department of Higher Education, Ministry of Human Resource Development. This statutory body provides recognition to graduate and post- graduate courses under specific categories at Indian institutions as per its charter. Students should check the accreditation of the short-listed college by visiting the official website of AICTE. AIU: Association of Indian Universities is a nodal agency which grants academic equivalence to the degrees given by the accredited foreign universities and institutions. Students can visit its website and check the recognition of the institute short listed by you. Every MBA aspirant shall be clear and transparent about his/her future goal and career prospective. MBA Program that a student selects shall be in accordance with his/her attitude and interest. Selecting a correct specialization is crucial as that will only shape up your career and molds your path towards success. For example a candidate who is more focused and inclined in the field of finance should opt for doing MBA with finance specialization only as he/she will excel in it. Doing MBA in some other specialization shall not be fruitful. Most popular specializations in MBA Course are in Marketing, Finance, Operations and Human Resource. Every college or institution has its own distinctive and peculiar syllabus. Students should spend some time and do research in understanding the curriculum of the colleges in which they are interested in. They should analyse what is their requirement and what is actually being offered to them. Is the specialization which you aspire available in the management school? How is the program which you want to proceed with ranked in that college? All these questions shall be essentially thought over and short-listing of the college shall be done on the basis of the answer to the above questions only. All Management Colleges assert of providing the students with optimum Educational Facilities and modernised campus and it is needed to be evaluated as which school is supreme from the all. Modern and equipped infrastructure is imperative and it plays a decisive role in short-listing the college for MBA Program. Infrastructure plays an influential role on academic performance and overall development and deriving out the optimal personality of a student. Every student wants that his/her college provides comfortable class rooms, effective sound systems in the lecture room, hi-tech library, high speed internet in the campus, seminar rooms, sports arena etc. Apart from these students also desire exposure to yoga, music, inter and intra college events and many other extra-curricular activities which will aid in developing of personality as a whole. Students also see that the college is having proper and safe hostel facilities. The hostel rooms should be spacious and hygienic. There should be facility of mess as well. Teachers play indispensable role on the career of a student. They help in making good leaders and managers. As teachers have a consequential role to play therefore short-listing college for MBA Admission spare some time to get to know about the faculty of the particular colleges that you choose. Go to the official website of the respective college and read the profiles of the teachers. Go the campus and visit places like library and canteen and have a word about to the teachers with the students studying in the college. They are the most genuine source through which you can know about the teachers. You should always short-list such colleges where the teachers are excellent as they are important pillars in shaping the career of a student. Also they are the building blocks of the college and the ranking and prestige of the college to a large extent is created by them. Whether it is a school, college or management institution, the predominant role of a teacher never changes. The adequate attention of teacher is what which takes out the maximum out of the student. The focus which a teacher has on his/her students is important and that is what aids the students to achieve their goals and earn quality education. This can only be possible if the teacher-student ratio is low. Lesser the number of students more will be the contact between students and teachers, hence, more interaction and consequently more will be the learning in the classroom. With more exchange of thoughts teachers get to know their students in a better way and so teachers can help students in focusing on grounds in which they lack. So this is a very prime aspect and students shall consider this while short-listing the College for MBA. Various private institutes, government institutes and universities provide Management Programmes in India. But before short-listing just enquire and have information about whether you will be awarded a degree or diploma on completion of your course. 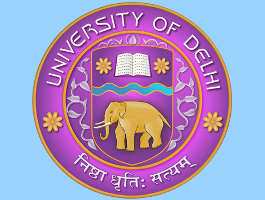 Universities and colleges which are affiliated to these Universities provide MBA which is a degree programme and Post Graduate Diploma in Management (PGDM) is offered by institutions which approved by AICTE and MHRD. Degree holders and Diploma holders both stand almost equally and are eligible for jobs in all the sectors. India’s top most management institution IIMs have been awarding diploma till yet and not degree. Scrutinizing of the placement trends shall be definitely done before short-listing the college for MBA Admission. Generally all institutions and schools have statistics regarding placements on their official website. Browse through these sites and have all necessary knowledge about job placements together with the packages that have been offered to the students. 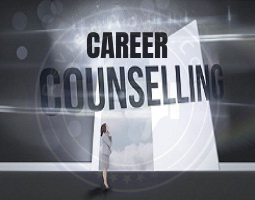 This element has relevance as in this competitive industry where there are many candidates for a particular job, the help which colleges and institutions provides by providing job placement gives a kick start to the students career. Education and degree from a reputed college is of no use if the students are not absorbed in the practical field. No one wants to lag behind and, therefore, students shall prefer those colleges which provide placements in good companies. Before you select the college you must assess and figure out the fees structure of various colleges. Fee structure varies from college to college and from one university to another. Private institutions prove to be more expensive in comparison to the government colleges. And the decision of the college shall be taken only after you have information about the fees of the college and that is within the reach of your pockets. Institutions presently have started a practice of providing financial aids to students like giving them study loans, scholarship etc. While considering the facts like loan amount, interest to be paid, your finance and your constraints choose a college and make a proper choice. 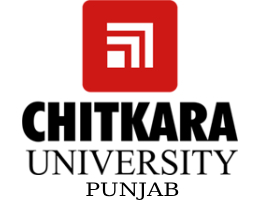 Management Schools and colleges are located all throughout India. With different location comes cultural diversity. Before you short-list the college of your choice you should familiarize with the atmosphere and culture of that place. Get accustomed to the environment of the college, food habits of that place and its climate as well. So you should elect college in such a place where you can adapt to. For example if a student from South India chooses to study in college in North India, then he/she should be ready to adapt to the conditions of north. And if it would be difficult to adapt in Northern India then the choice should be somewhere else. No one but the one who has actually lived the two years of life in the environment can give the most accurate information about the institute or college. You can meet the passed out students or even view their reviews on the social forums about college, the faculty, and infrastructure and even about the education which it imparts in students. Selecting a college is a very significant decision and it should not be made in hush and rush. Rather it should be an informed decision as the result of it will decide your future. Once your research as per your parameters and the above factors is over you will have a better understanding as what is that you desired and where you stand in reality and that will ultimately help you in resolving the tough decision of short-listing the MBA College. Every MBA aspirant wants to do MBA From a reputed and renowned college as after all you will spend two precious years in the college environment and campus. It is very difficult to select the Most Appropriate College from amongst the available options and it always creates a state of puzzlement for the aspirants. To attain victory over such a condition students should scan the above parameters and then select and short-list such college and institute which fulfil your desires and requirements and which will eventually make a road map for your bright and triumphant career.